With the idea that the songs on Walk The River should sound as though they'd sleep walked onto tape, Fyfe Dangerfield couldn't have set out a more clear mantra that Guillemots third album was not going to be Red Mk. II. The allusion of course is to this record being more of a follow up the the life-affirming Through The Windowpane, and in many ways this is the case. But unlike either of these previous two records, Walk The River sounds completely like a band of four people fleshing out ideas in a room and relying on the instruments at hand. The result is an intimate, subtle record that's made purely for headphone pleasure. A personal experience that doesn't make any grand statements or aim for any pop charts. Songs such as 'I Don't Feel Amazing Now' and 'Sometimes I Remember Wrong' are tender moments for the bruised and broken. Their soaring melodies as soothing as long baths to aching limbs. The former is destined to be buried in mixtapes to lovers in tough times, whilst he latter creates a masterpiece out of nine minutes of sound. MC Lord Magrão pulls textures out of his guitars and pedals whilst Grieg hammers his drums and Fyfe's croon pulls through the shoegaze haze tugging at the melody until for a finale everything sweetly collapses in on itself. But with an album that's so clearly a grower and that reveals more of itself and its depths with every listen there's bound to be moments that make little sense at any stage. Early on in the listeners relationship with Walk The River 'I Must Be A Lover' jarrs against its more intimate surroundings by sounding like a lost artefact from the Red sessions. The big beat and “oh-oh-oh-oh-oh”s betray it to be a distant cousin to 'Clarion' and the nearest this record has to offer to the family friendly pop star of Fly Yellow Moon. Still, Guillemots being Guillemots there are some pop moments that do work. Both 'Ice Room' and 'The Basket' bring in new ideas and help to anchor the album, interjecting amongst the more woozy songs with tracks that would be more recognisable as singles. Missteps are easily forgiven with Guillemots however, as for every plodder like 'I Must Be A Lover' there's a moment of lyrical dexterity that showcases the romantic dreamer we love Fyfe Dangerfield to be. 'Tigers' opens with the lyric “I came close to giving up,” a standard sentiment that's delivered with such open honesty that it can't not impact. Meanwhile 'Inside', a song that resembles Elbow down to the delicate jazz-like percussion, features the bruised and tired line “I drove all night to beat the morning.” and is sure to appeal to people who're at low ebbs and need that moment to take stock. But to pull out songs from Walk The River seems somewhat arbitrary and not something the listener is likely to do at such an early stage in their relationship with the record. Playing through as a whole it's in the feel and swells that occur across songs that really fulfil the emotional objectives and likely gave play to the opening idea. Not quite as much of a mood piece as a film score or instrumental record it still bears some of these hallmarks. After each listen a new facet of sound or instance of beauty on the record reveals itself, and with Walk The River being such a new record it seems unlikely to stop giving or revealing any time soon. So, although Walk The River is certainly not perfect or quite up to the heights that the band achieved on their first record there is no dobut that it will continue to grow into itself at it's own pace. 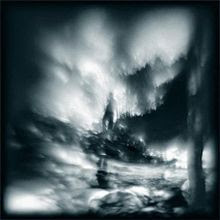 That Guillemots have created a record that can do that is an achievement in itself and a credit to the band. If you were disappointed by Red and always wondered what a second album from Guillemots might have sounded like had they continued down the majestic path then here is your confirmation.